Sheik seems to be a popular topic of debate lately for one reason: He/She is apparently a lot more feminine looking in the new Ocarina of Time 3D. 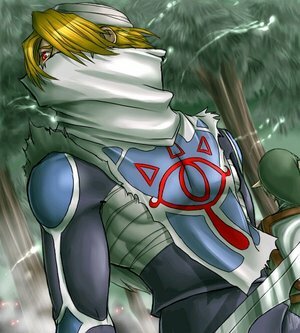 Of course, reality is that if a girl dressed up in the same clothes Sheik does, chances are she still has a slightly female form anyways. It was always an issue I think in the original because Sheik and Zelda had completely different body types. Of course, that may have been intentional so as to confuse the player. Or not. At any rate, hop inside to see Sheik crashing a “real” party.